Travellers on Polar Bear Migration Fly-In Safari look forward to amazing close-up polar bear encounters on authentic Arctic tundra. Last November, they weren’t disappointed! 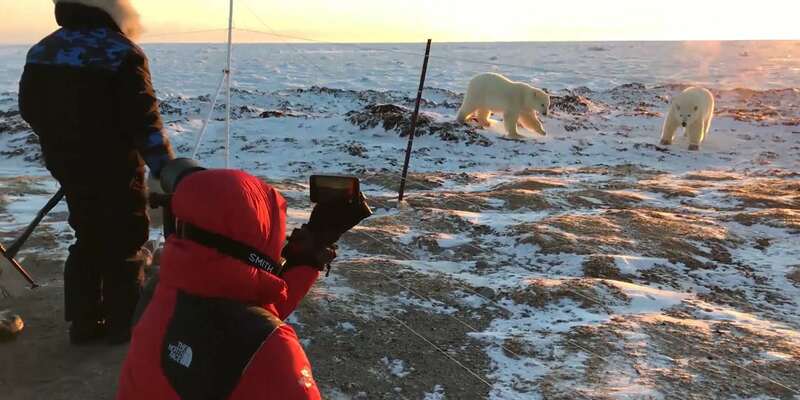 At sunrise, guests enjoyed a breathtaking encounter with a mother polar bear and two curious cubs while positioned safely behind an electric fence that surrounds the Polar Bear Cabins. 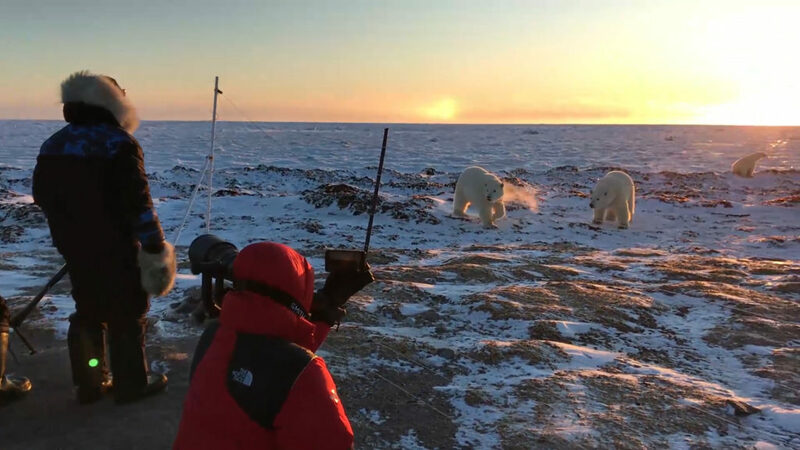 The polar bears were spotted from a distance as they approached the cabin complex, giving guests a chance to position themselves and their cameras for what was sure to be an incredible encounter and an ideal polar bear photography opportunity. Our Polar Bear Cabins visited on this trip are situated on true Arctic tundra in a remote area referred to as “polar bear alley”. 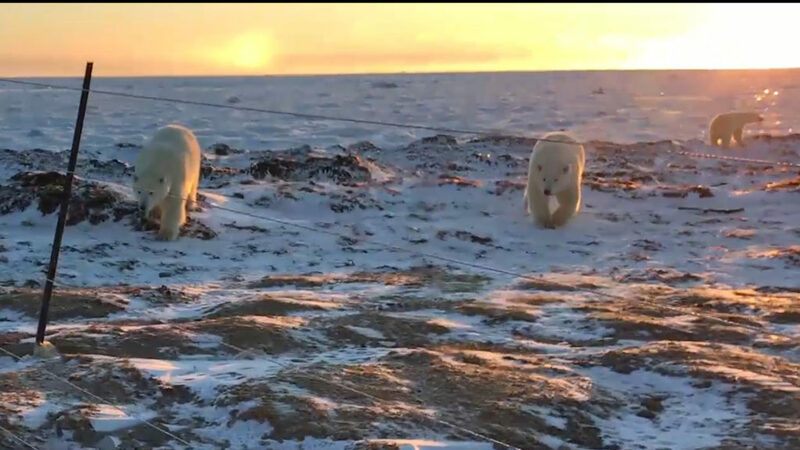 On the west coast of Hudson Bay in Nunavut, just north of Churchill, Manitoba, this is an ideal polar bear viewing location as they roam the tundra waiting for the first sea ice to form in October and November. Arctic Kingdom Expedition Leaders and local Inuit guides are experts at observing the behavior, physical condition and the demeanor of polar bears as they approach, and are highly trained and experienced at managing encounters, allowing guests to view the Arctic icons safely from behind the fence. After several years of leading polar expeditions, Briggs says he continues to be inspired by every polar bear encounter in the Arctic. Get chances for close-up polar bear encounters on Polar Bear Migration Fly-In Safari and Nanuvik Polar Bear Migration Safari. Departures in October and November.